We welcome new patients looking for special care. We know. The idea of going to the dentist evokes apprehension for most of us. The good news is, you don’t have to feel that way about your dental visits anymore. You’ll find that Dr. Ireland’s dental practice is a warm and welcoming place, where your comfort and satisfaction really are our top priorities. Dr. Ireland and our staff are highly skilled, so your excellent treatment extends to everything—from giving our famous Pain-Free Injections to coaching you on the best practices of dental hygiene, to solving your toughest dental challenges with the latest advanced solutions. Browse our Services page and see the many ways that we support keeping you—and your smile—healthy and beautiful. Dental technology is constantly evolving. Our team is dedicated to advancing our skills and using the latest technologies and methods to better diagnose and treat oral conditions and diseases. Many patients do not use today’s best practices in personal oral hygiene. Do you brush too hard and scrape off delicate enamel? Are you worsening dental health with the wrong instruments? Teaching you today’s best practices is standard procedure here. Those first experiences can shape us for life. 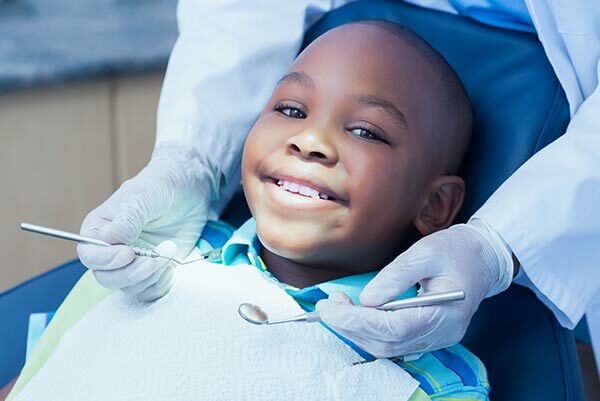 Pain, trauma and poor habits in childhood can lead to dental problems throughout life. Dr Ireland and staff take special care with our younger and elder patients, and everyone in between, to make sure your dental health is optimized, and your experiences are positive. Its never too late to improve your dental care, give us a call. Do you experience these painful symptoms? If you frequently have headaches, earaches, trouble/soreness in opening and closing your mouth, pain in your jaw muscles or face, clicking or popping of your jaw, you may suffer from TMJ. Learn how we can treat you. Invisalign aligners are the clear alternative to metal braces for adults and teens. These clear aligners are the virtually invisible way to improve your smile. Dr. Ireland is an Invisalign Preferred Provider. Lets talk about whether Invisalign may be right for correcting your smile. Learn more about Invisalign. When the unexpected happens, we’re here for you. Whether you are a long term or new patient, we will get you an appointment as soon as possible. Dr. Ireland and our staff are always ready to provide the care your need. Dr. Ireland provides a range of teeth whitening options and can help you decide which method is the right one for you, to bring that bright smile back. Don’t let stains and darkening make you look older than you are. We’re here to help, contact us!